Oktoberfest season is the perfect time to enjoy all things beer. Celebrate Oktoberfest 2018 in Tampa through a variety of festivals, events, craft beer specials and more! Tampa Bay's Tailgate Taste Fest is a FREE, family-friendly event, held in Curtis Hixon Park. Come and enjoy live music, great food and drinks, watch the day's best college football games on our HUGE screens and of course, enjoy some tailgating games! Watch UFC 229 Khabib vs McGregor at GameTime! Get to GameTime in Daytona, Fort Myers, Miami, Ocoee or Tampa to watch #UFC229, Khabib vs McGregor live on Saturday October 6th! UFC lives here and you do not want to miss this fight, no cover! Make a splash at The Florida Aquarium's 10th Annual Beer and Food Festival presented by Pepin Distributing. The Aquarium will be overflowing with endless beers, delicious food from local area restaurants and live entertainment. Taste delicious wines & Italian cuisine at The Italian Club of Tampa\''s Fall Wine Tasting Celebration called Uncorked on Saturday, October 13, 2018. Come enjoy music, food, & libations to celebrate our Grand Opening of the Centers for Analgesic Transformations! Anchor Captains & Charters Official Tampa launch! Anchor officially launches in Tampa Bay this October 17th! What's that? A Ride-Sharing app for casual and serious boaters? Yes!! Get Coast Guard certified captains piloting your choice of charter boat! Beached on Beer Can - Free EDM Music Festival! 3 Days and 2 nights on our private island, Beer Can Island Tampa Bay. This event is FREE to attend! Use Promo Code 813area20 for $20 off your charter! at The Blind Goat Food and Drink Co.
Its about to go down in this witch! October 19th, prepare your mind and bodies for the best Halloween Party in South Tampa! This month's $10 Tuesday is our Calamari Misto and a draft beer! Throughout the month of September, Fly Bar & Restaurant is hosting a Retro Month to celebrate their 12 successful years in the North Franklin Historic District. Valrico’s Largest Outdoor Tent Event Featuring: Authentic German Fare & Beer! This year's event will feature local businesses and family resources providing interactive exhibits for our guests, giveaways, swag bags and more! Admission for all guests is free! Join us for an amazing time and even better, food and beer! Pasco Pride and PFLAG will be auctioning off artwork and other items for charity so bring your wallets! come on down to the Fall festival. The Fall Festival will be held opening day September 29 from 5 p.m. till 9 p.m. Bring the family and help support a great cause, The Children's Home. A portion of the proceeds goes towards bringing the holiday season to the kids. Bark for Brews strives to create connections between passionate pet parents through weekly relaxed on-leash pack walks starting and ending at local breweries in North Pinellas County. Explore downtown Tampa via a food & wine tour. We visit Oxford Exchange for a champagne toast and VIP tour, Mise en Place, Malios Prime and Riversedge for food & wine pairings. Plus dessert and coffee at Anise Global Gastropub! This fun, annual tradition features an awesome corn maze, pumpkins for sale, a hayride, exciting games, and the chance to enjoy the great outdoors! Grab your dirndls & lederhosen and join the Ybor City Chamber of Commerce for their 9th Annual Oktoberfest Pub Crawl through Ybor City. Free to the public. The show opens at 10:00AM and closes at 4:00PM. Parking: Parking is free Food & Beverage: There are several vendors selling home made goods, beverages and tasty food options. Celebrate SRC’s 60th Anniversary ! Celebrate SRC’s 60th Anniversary at The Rusty Pelican and Whiskey Joe's with special Throwback Menu October 8 - 21. What is Bark for Brews? Bark for Brews strives to create connections between passionate pet parents through weekly relaxed on-leash group dog walks starting and ending at local breweries in North Pinellas County. The Hyde Park annual pumpkin patch will kick-off October 10th and run through October 31th. We are open week days 12:00 pm till 8:00 pm and weekends 9:00 am till 9:00 pm. October is almost here, and that means it is time for everything pumpkin! Joe and Son’s Olive Oils has created a fall-inspired menu that proves our favorite festive squash isn't just for pies. Join us on Thursday, October 11 to learn some autum recipes! For 3 full days, Tampa’s downtown Curtis Hixon Waterfront Park will be transformed into the city’s largest, waterfront beer garden. Soak in the sprawling downtown views and beautiful sunsets as the park buzzes with live music, dancing and more! FRIDAY OCTOBER 12th SALSA NIGHT . Come dance the night away. FRIDAY, October 12th SALSA NIGHT FROM 9pm - 3am COME AND DANCE ALL NIGHT LONG. Get the free admission pass from Bella's Cabaret website. A fall festival to welcome the arrival of autumn and celebrate Halloween in a fun, safe and family-friendly environment. Enjoy a plethora of crafts and games, candy, a bounce house, glitter tattoos, professional fall photos, and a costume contest. Saturday, October 13th. 11 a.m. to 11 p.m. Over 13 live local and regional bands. Headliner: Applebutter Express. Live Music, German food, Beer Olympics, Drunk Spelling Bee, Axe Throwing Competition, vendors, games, contests, and raffles! 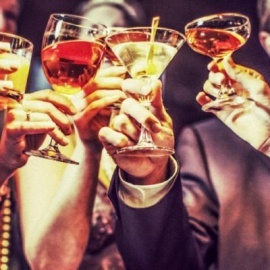 Bottomless Wine, Champagne, Sangria, Craft Beer, & Endless Apps! 30+ vendors, food truck, live music and craft beer! The Upper Tampa Bay Chamber of Commerce is gearing up for the 23rd Annual Top of the Bay Oktoberfest– set for the weekend of October 19-21, 2018 at The Tampa Bay Downs on the edge of Tampa and Oldsmar, Fl. The Tampa Pig Jig is an annual fundraiser event hosted on downtown Tampa's beautiful waterfront featuring live music, great food, a BBQ competition, drinks and games. A fun Sunday activity to learn basic turning skills by getting hands on experience making your own Hidden Springs Beer Cup. Duo Concert, Upright Bass, Banjo and Drums. Sunday, October 21st 3pm at the UU Dome Unitarian Universalist Church, 11400 Morris Bridge Road, Tampa. 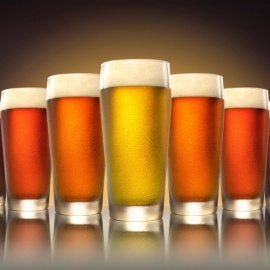 We are a consumer research company that is looking for people to participate in a BEER TASTE TEST, you will be sampling and giving your opinion on various beer products and WE PAY YOU FOR YOUR TIME AND OPINION - FREE BEER AND WE PAY YOU!!! Oktoberfest Tampa Florida 2018 is celebrated through family activities and Oktoberfest weekend events. 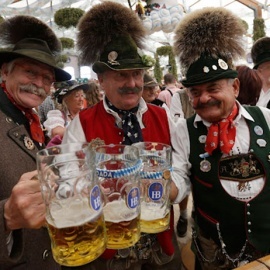 Oktoberfest is about celebrating all things beer! There are many things to do for Oktoberfest in Tampa Florida. 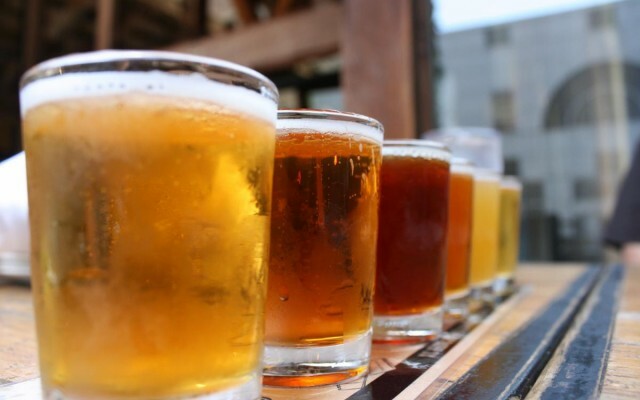 Check out the events directory to find out whats going on in Tampa for the fall beer season.